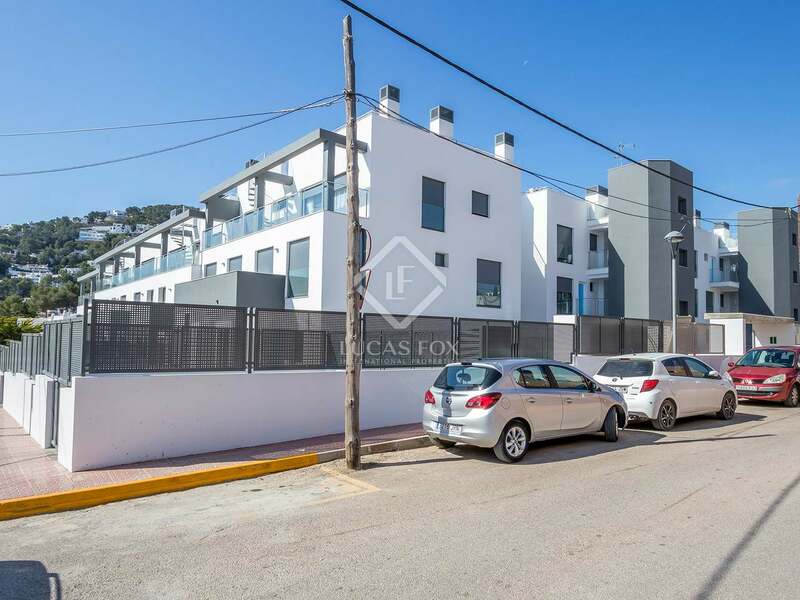 New Development of 2 and 3 bedroom apartments close to the centre of Santa Eulalia, Ibiza. 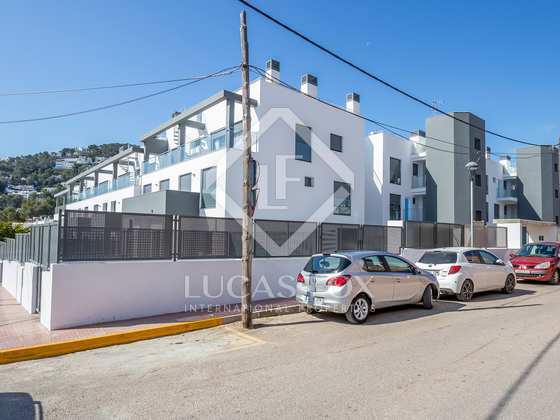 This New Development of 2 and 3 bedroom apartments is an exciting opportunity to acquire a brand new home just 5 minutes walking to the centre of Santa Eulalia. The peaceful development enjoys sea and mountain views and residents have access to excellent communal areas with a swimming pool, gardens and a children's play area. 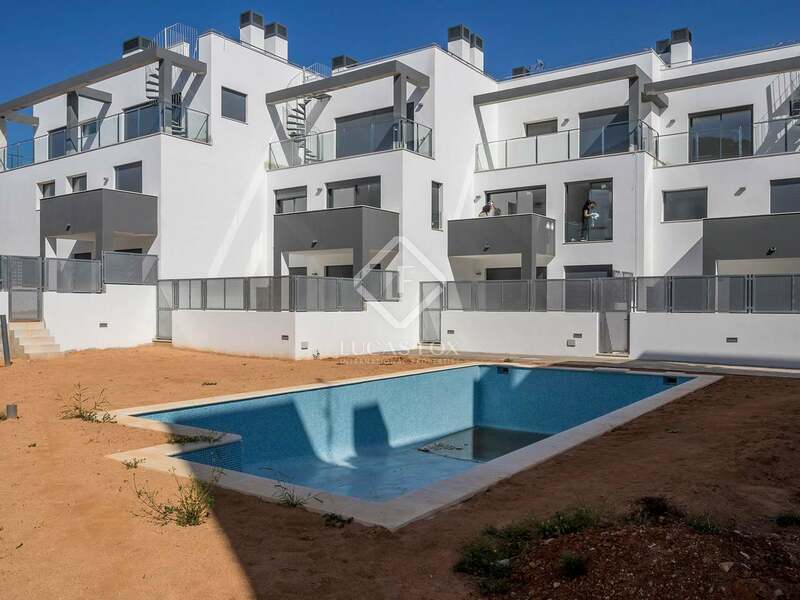 The development is currently under construction with a planned completion date towards spring 2018. 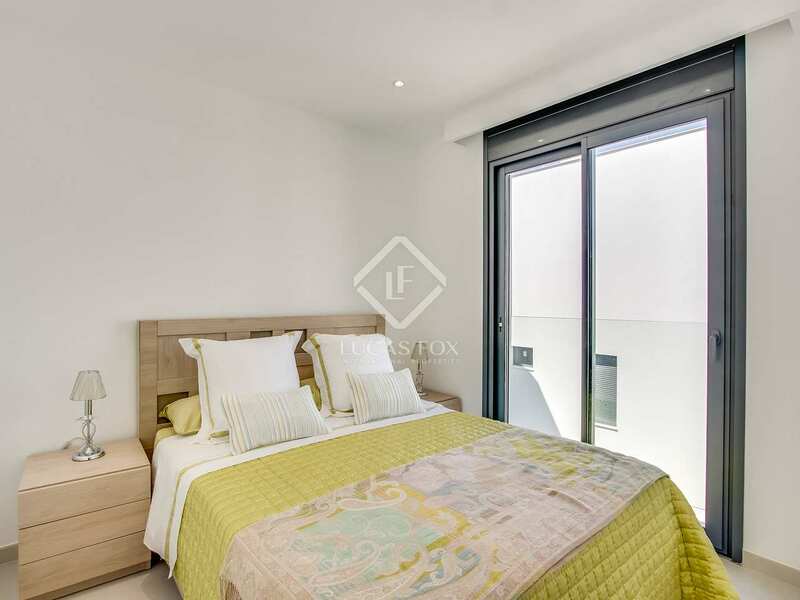 There are both 2 and 3 bedroom apartments available, each property will be modern and make use of the best quality materials and finishes. 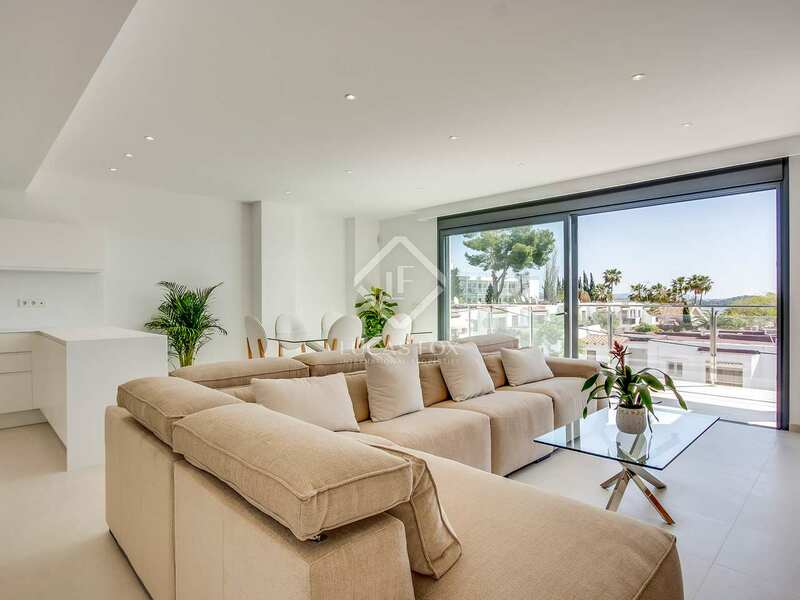 The penthouse apartments have a private solarium and all of the properties will have solar panels for energy efficiency. 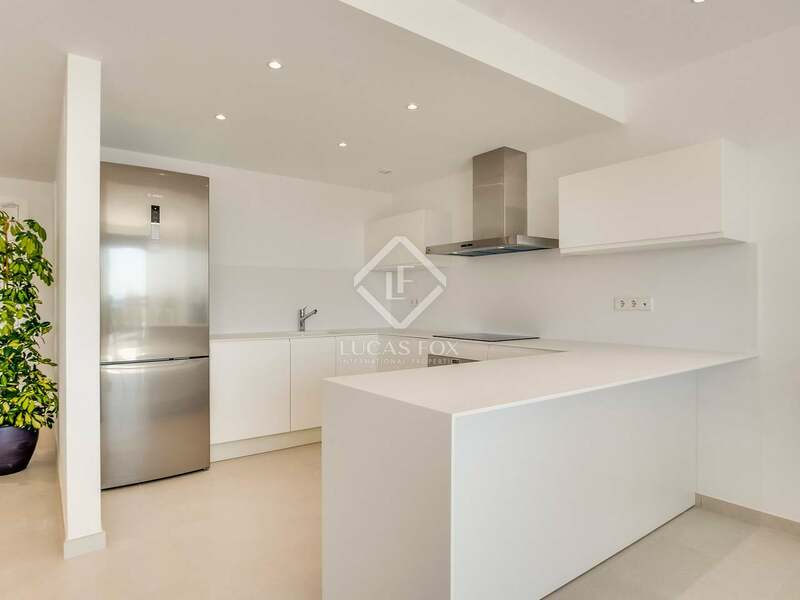 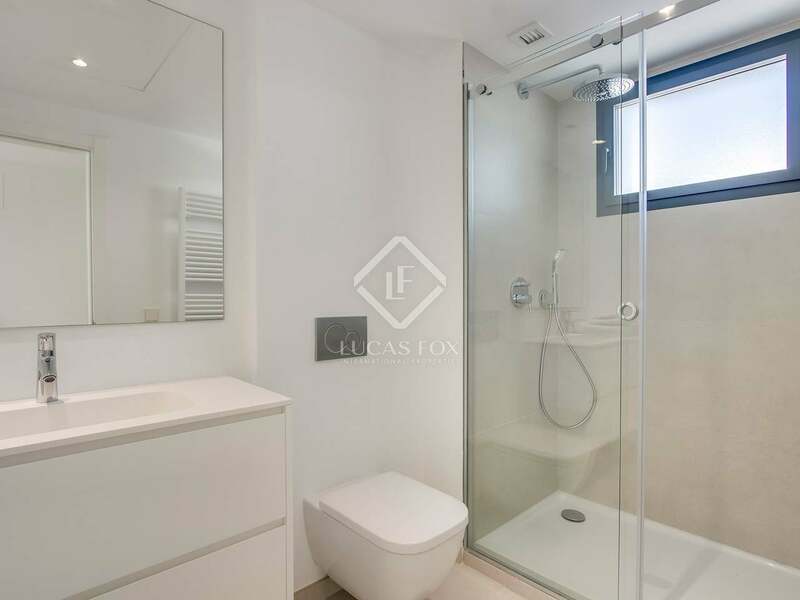 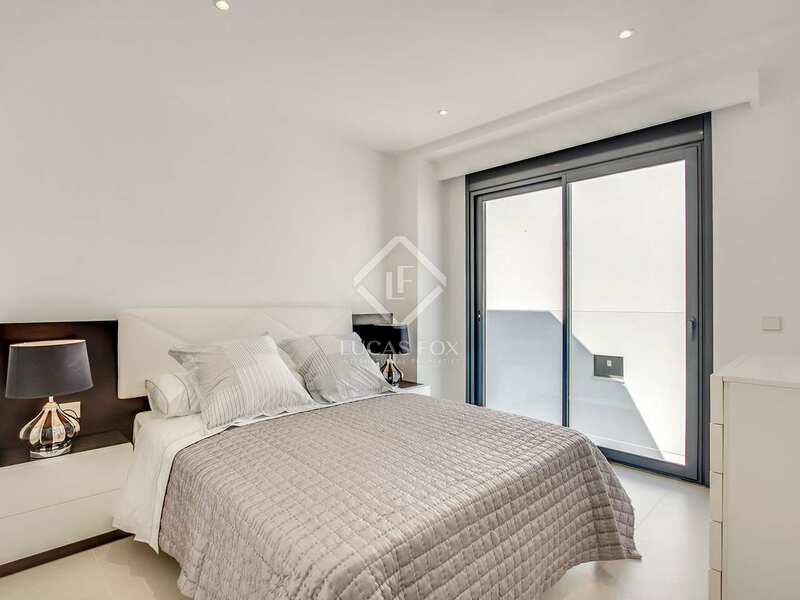 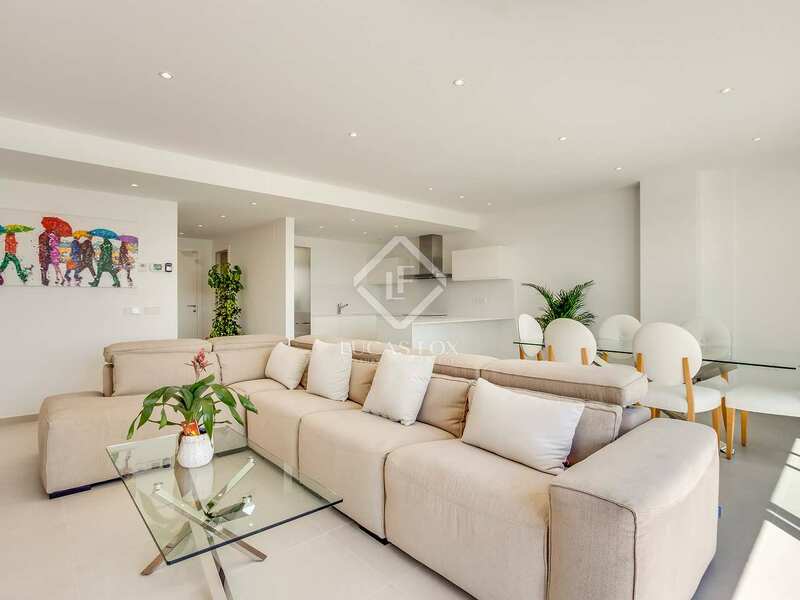 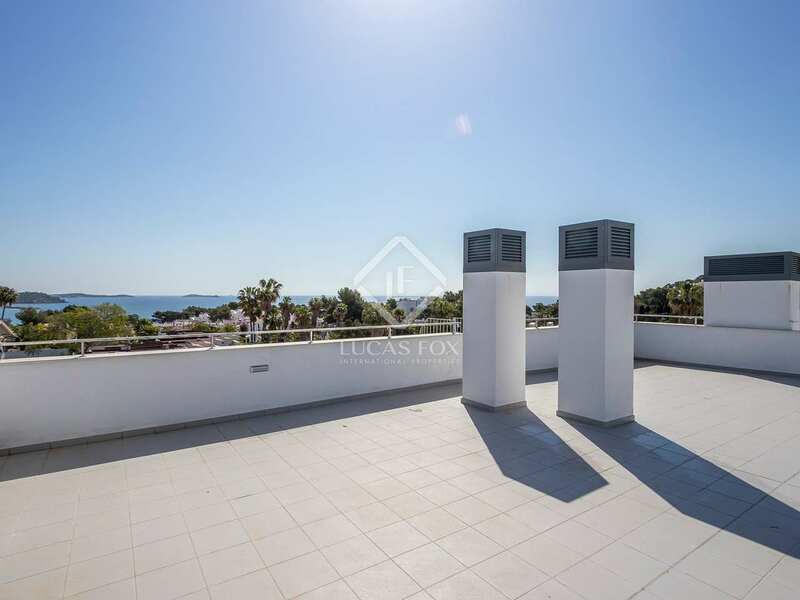 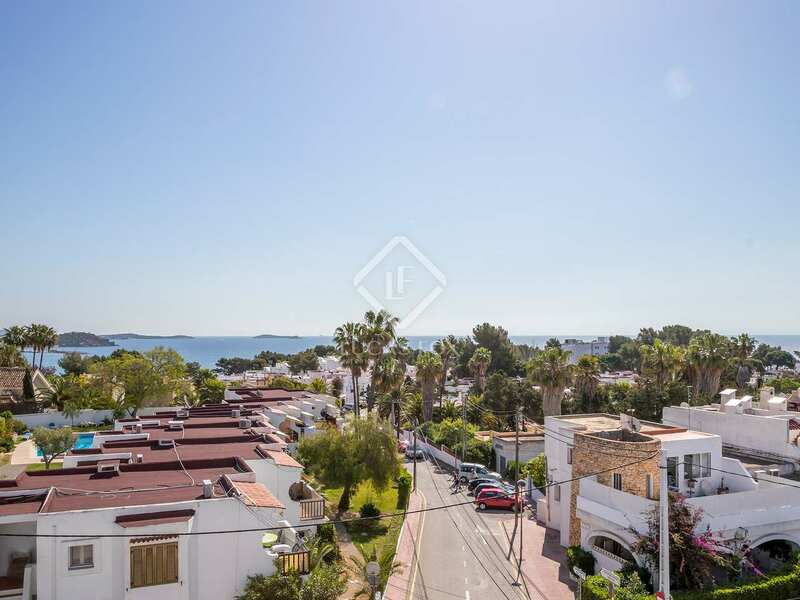 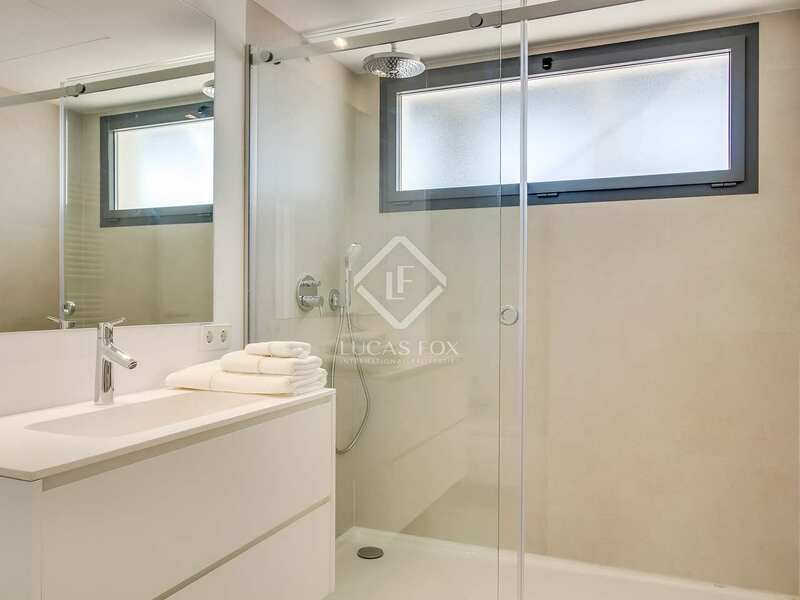 These apartments would appeal to a range of buyers, the children's area makes them suitable for families whilst the location close to the centre of Santa Eulalia with its supermarkets and restaurants make it an ideal location for a second home in the sun. 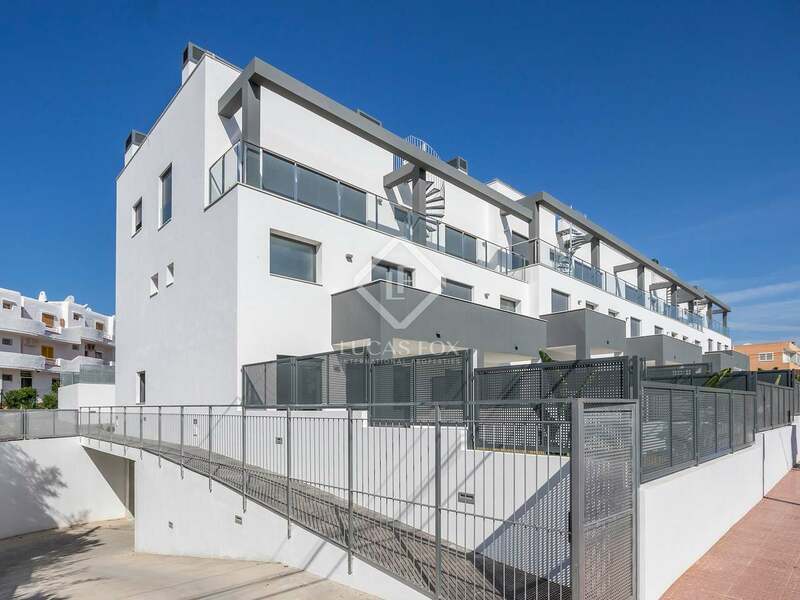 A garage parking space can be purchased at an extra cost.